The highlight of a visit to Kings Canyon and Sequoia National Parks, in California's spectacular Sierra Nevada mountain range, must be the giant sequoias, also known as giant redwoods. 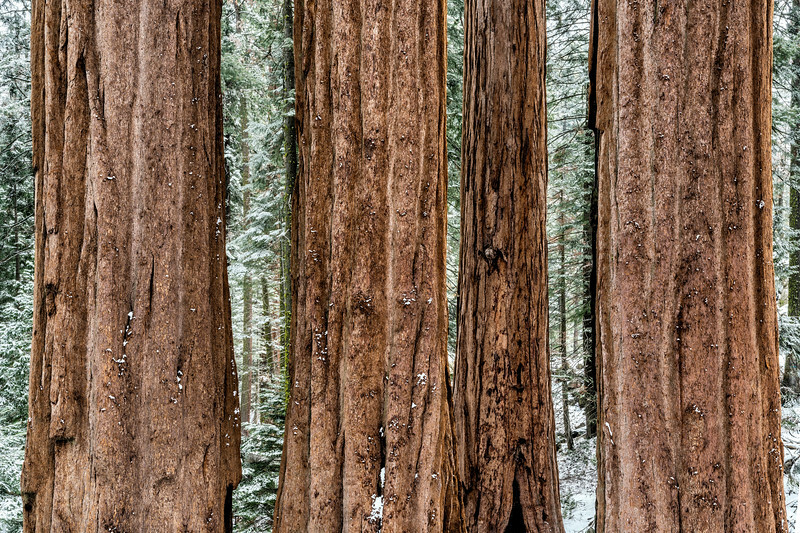 These trees grow to an average height of 164 to 279 feet, and an average diameter of 20 to 26 feet. They can live for more than 3,000 years. I was lucky enough to visit these giants in April, 2018, and expected spring conditions. I was thrilled (and cold) when it snowed, though, completely transforming the sights available.